The new season moves on to Kuala Lumpur, Malaysia, one man desperate to bounce back is Lewis Hamilton. Who will win? What should we expect? All that and more in this extensive preview for the race. Last year`s race start, Webber and Vettel on course to clash into controversy. Red Bull - the team seemingly unstoppable in recent years. This year the team seemingly struggling with the new regulations. In Australia an early bath for 4 time World Champion Sebastian Vettel and an exclusion for 2nd place local hero Daniel Ricciardo. Where did it all go wrong? Well maybe here in Malaysia! 12 months ago Formula One witnessed one of the most bitter inter=team battles ever when Sebastian Vettel ignored the infamous 'Multi 21' team order and overtook his team mate Mark Webber to take the win. Thus sparking a bitter feud in the Red Bull camp and condemnation of Sebastian Vettel. One year on, the team are playing catch up in terms of car development and have suffered a shocking race in Australia where their one reliable car was excluded from race classification due to an illegal fuel flow sensor. 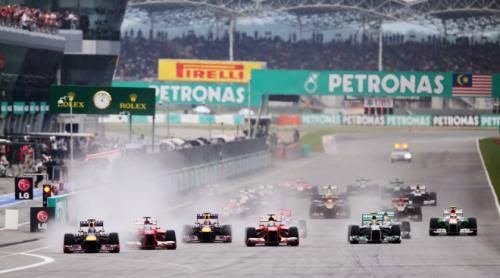 This year I confidently predict they will not have the luxury of issuing team orders to settle 1st and 2nd place in this years Malaysian Grand Prix! 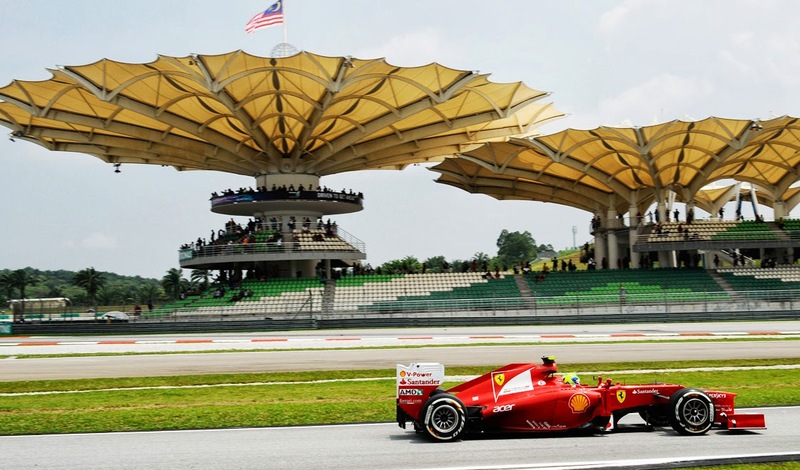 So to the circuit itself, situated in Sepang, Selangor, Malaysia, aproximatley 60km south of the capital city Kuala Lumpur. The circuit was designed by Hermann Tilke and the first F1 Grand Prix was held on 17th October 1999. A very modern circuit with a mix of tricky corner complexes and long straights. A lap aboard Lewis Hamilton`s Mercedes AMG last year. So who will do well this year? I fully expect Lewis Hamilton to bounce back from his Australian GP setback and boss this race if his car remains reliable. I expect McLaren's Jenson Button to have a better race in the impressive McLaren MP4-29 and grab a podium. Williams are back in the reckoning this year and my driver of the race in Australia Valterri Bottas should get a top 5 finish. Ferrari? Not a good start and sadly the legendary Maranello team have not produced a race winning car to start the season, so expect a top 10 finish for both drivers. My 'loose cannons' for the race will be Kevin Magnussen, Nico Rosberg and Kimi Raikkonen, these guys are potential race winners so keep an eye out for them during the race!! My predicted podium? 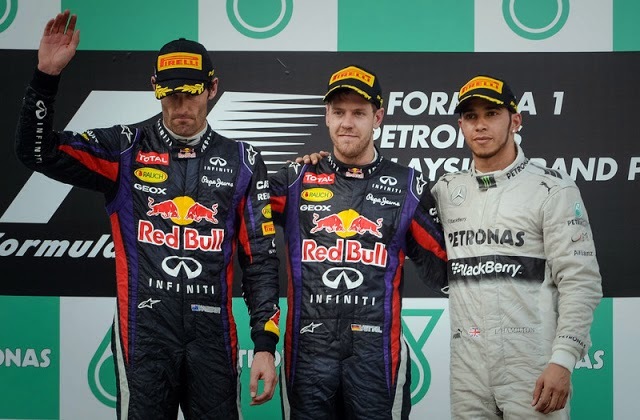 1 Lewis Hamilton 2 Jenson Button 3 Sebastian Vettel. This race will give us all a real indication of this years F1 championship! Bring on the 2014 Petronas Malaysian Grand Prix!